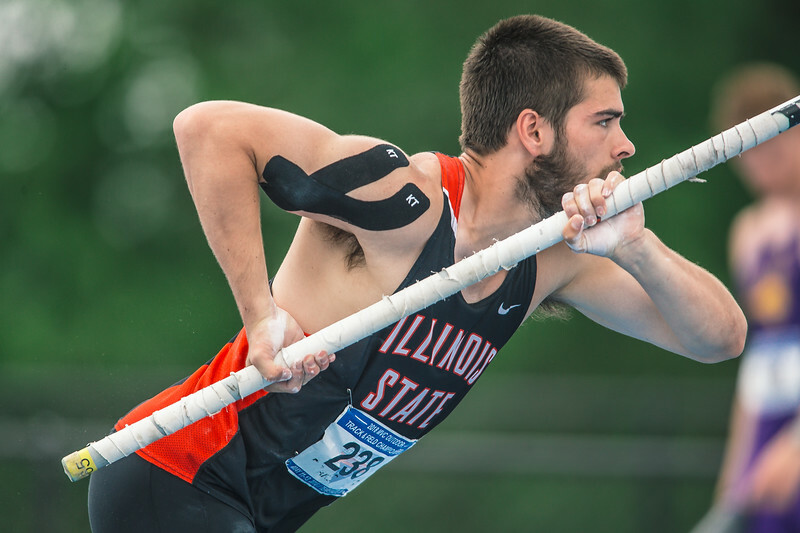 The second day of the MVC Track and Field Championships started off with the multi-events again. As the day went on we crowned champions in both the heptathlon and decathlon. 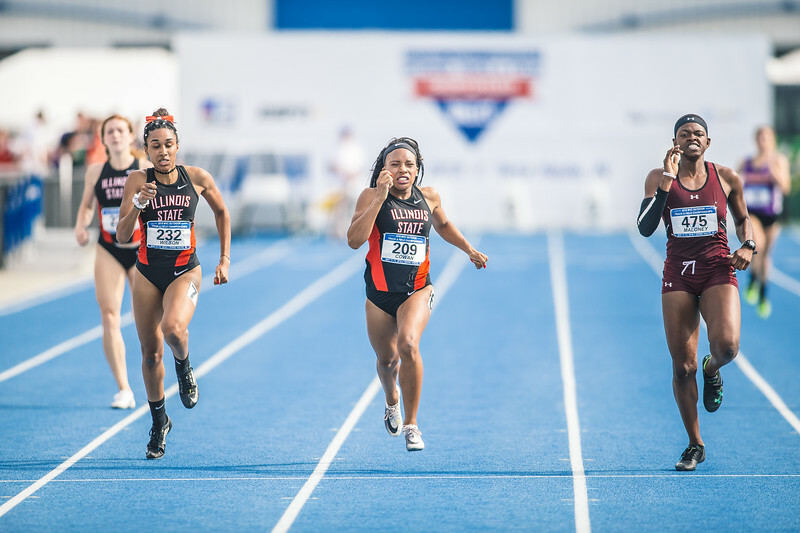 It is amazing to watch these athletes perform their different events at a high level. Their level of expertise in these events is fun to document. 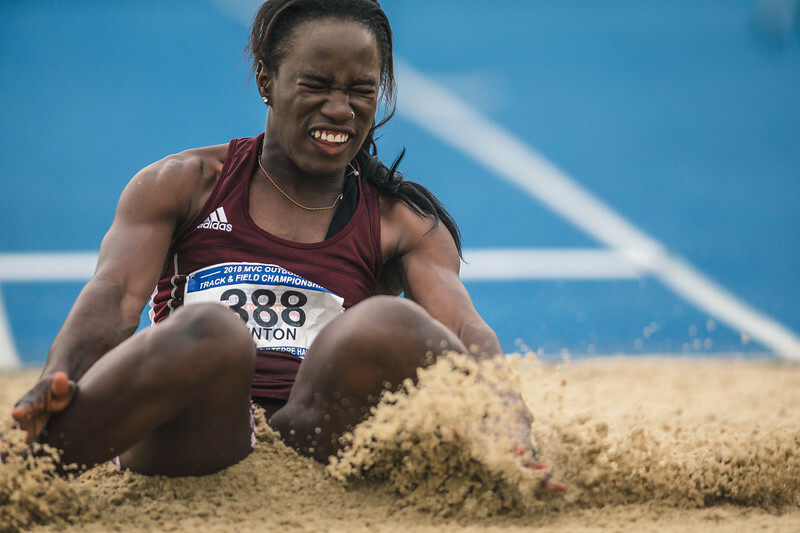 As day two of the MVC Track and Field championships started my body was still feeling the effects of day one. Constantly running to new positions and kneeling on concrete can take a toll on your body. By the end of day two I was really feeling it. The thing that makes it all worth it though is the great photos that you can make. The body can recover, and you have the great photos from the tournament. As I write this I am preparing for day three. This is the most exciting day of the championships as the stakes are high. The individual titles start piling up, and the overall will be decided. The emotion should be fantastic today. 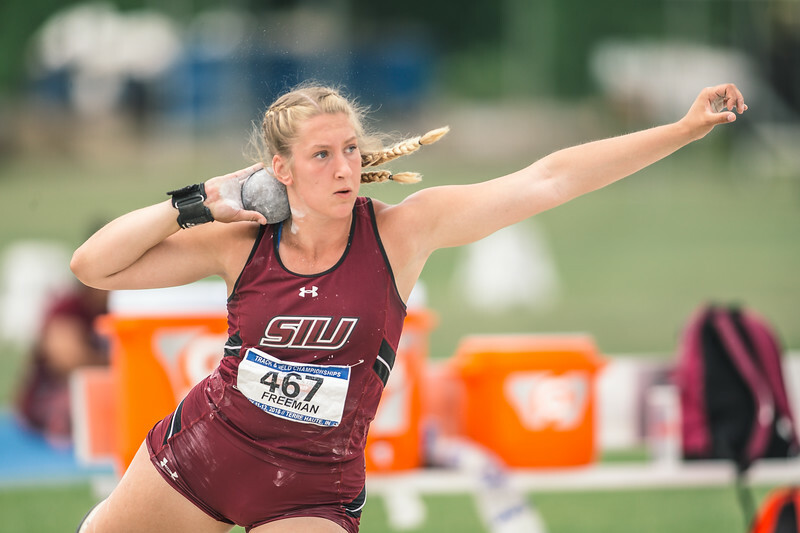 The shot put is fun to photograph for many reasons. One is that many years ago I used to throw. The other is the great expressions and emotion that can come out of the event. During the course of the day I photographed the event from a few angles. I liked this side shot for the release, but shooting from straight on is usually good for the emotion as well. During the course of the weekend I had the pleasure of working with Jonathon Garcia and Jim Sullivan. I have linked to their work by clicking their name. When working an event like this there is always something going on. You can only cover so much, but it is great to know that you have people in place to cover what you cannot. That trust in their abilities makes the weekend very easy. 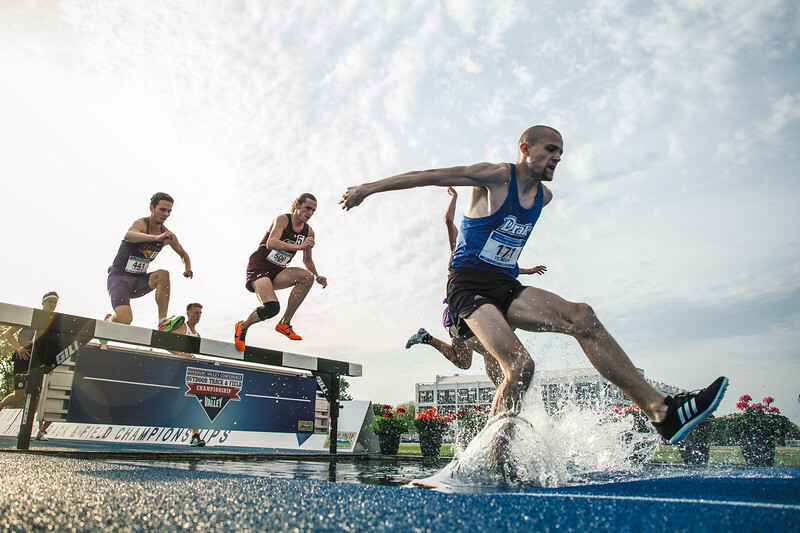 The steeplechase is something that everyone seems to love to photograph. The addition of water to the track is pretty cool. I really focused on the water knowing that other areas were covered. I started by the flowers, and then worked my way into the shot that you see above. I wanted the signage of the tournament in the photo with the water splashing. An athlete coming close to me was a great bonus.